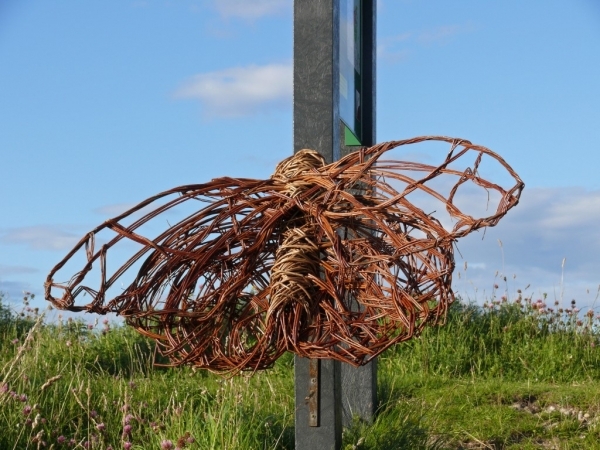 Yesterday evening a group of 20 people attended the inaugural walk to view the willow sculptures located at various points on the Island nature trail. 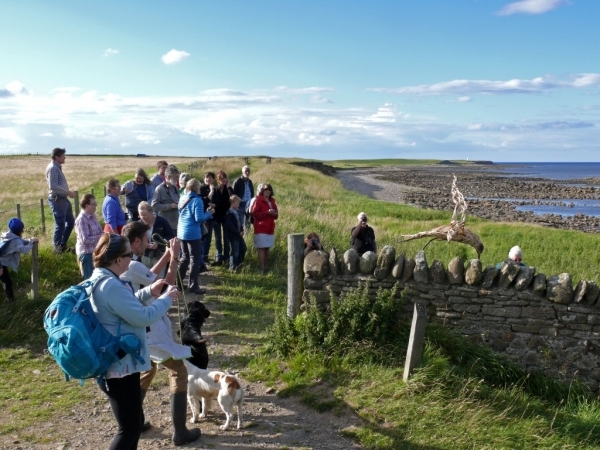 The walk was led by Andrew Craggs, Reserve Manager Lindisfarne National Nature Reserve. 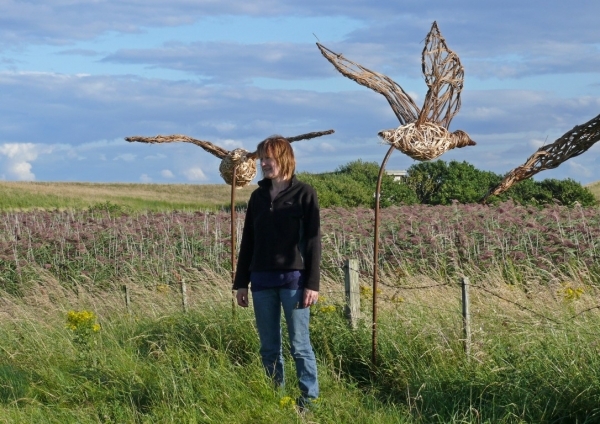 (Natural England is a partner of Peregrini Lindisfarne Landscape Partnership) and sculptor Anna Turnbull. 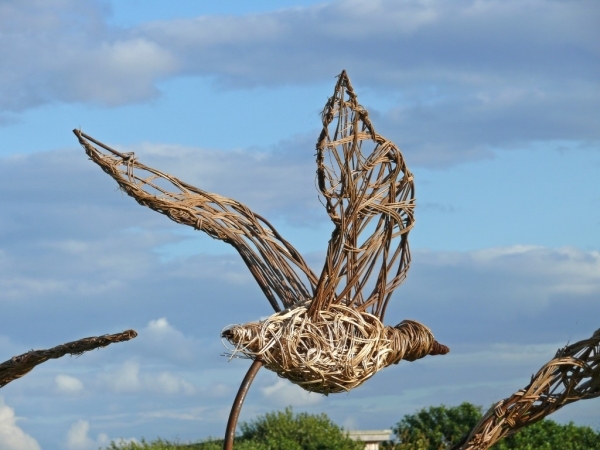 The willow sculptures depicting wildlife on the island were created by Peregrini volunteers tutored by Anna. 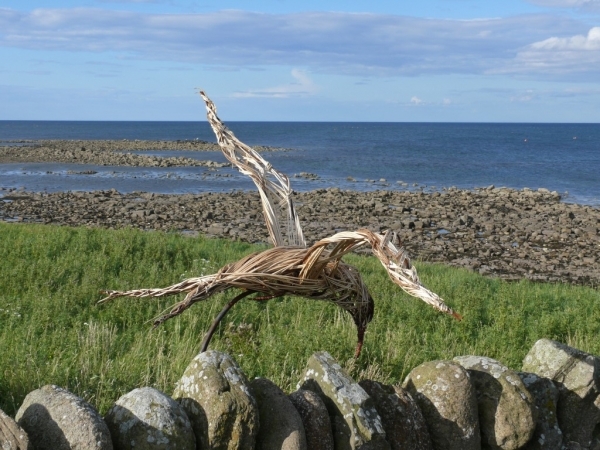 The wonderful sculptures will be on display for the rest of the summer so do find time to visit the island and take a stroll along the five kilometre trail. Hopefully you will enjoy beautiful weather as we did last night. The sculptures will be stored overwinter by Natural England and returned to the trail next year. Attached are photographs of a few of the sculptures that are on display.